If you ask most moms what they were surprised by when they became a parent, their answer is almost always “How fast they grow”, this is one of the hardest truths to accept about children, but once you can accept how fast they grow up, you can also accept how quickly they will go through their clothes. The good news is, once you embrace, or at least understand, how quickly they are growing, you can start saving money on their wardrobes. 1.) Keep it in the Family- Hand me downs are one of the original ways families have saved money throughout history, and for good reason. Not only is it smart to avoid buying the same clothing items for each child you have, but it’s also a completely enjoyable way to take a walk down memory lane. Buying high quality items, and gender neutral options are a great way to ensure additional use for generations to come. Blankets, bedding, washable toys, and well-kept books are other examples of hand me downs that help the budget. 2.) 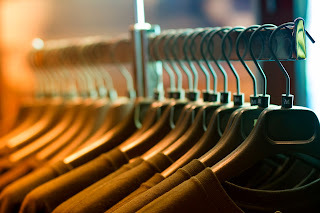 Garage sales- It feels like hitting the jackpot when you find a garage sale with the clothing items you can use. Search the apparel in great condition, check for sagged seams, stains and loose buttons before purchasing. Keep in mind, pay clothes don’t have to be in perfect condition if you find them at the right price. 3.) Gently Used- Buybuy baby is a perfect example of a consignment shop specializing in children's clothing and accessories. From newborns to toddlers, you can find great deals on clothing that has already been accepted as being in good condition, then sorted into sizes and genders, which means you can save time and money. Buybuy baby is even mentioned on many discounts websites like mamma.com, so keep a lookout for promo codes, they also offer free shipping on orders over $75. 4.) Buy new and Save-Buying new doesn’t have to mean breaking the bank. Stores such as Babies R Us are all about the cute and high quality brand new children’s items. Coupons can be found in weekly advertisements, or on your mobile device, to ensure you don’t pay full price. Promo codes as well as free shipping with no minimum purchase can be found for Babies R Us online. 5.) Off Season- Buying children’s clothing off season and in advance can cut your bill down by 75%, even on brand new clothes. Quarterly, stores are trying to push their last season inventory out the door, this is when you can score unbelievable prices for your family to use next year. All the tips above will not only benefit your family’s clothing budget, but other necessities such as strollers, toys, books and furniture can also be found from these sources. Lastly, finding or creating a group of families at similar ages to yours, can start a swapping circle where you rotate items like clothes and toys to keep things fresh, without having to buy or sell it. The less you spend, can become the more you save toward other family purchases, like vacations, schooling and extracurricular activities. Disclosure: This is a contributed guest post.